Students, teachers and the Lexington Two community are helping those in need this holiday season. WEST COLUMBIA, SC -- One thousand six hundred-plus cans of food -- and counting. The season of giving is well under way in Lexington Two schools, where holiday donation campaigns already have netted hundreds of cans of food and other needed items for area families. Some drives wrapped up around Thanksgiving, though several are running through the December holiday season. Community residents, churches, businesses and other organizations are invited to help schools in their holiday drives for those in need in Lexington County. Among recent food drives, BC Grammar No. 1’s Boys and Girls Club held a boys vs. girls competition to benefit God’s Helping Hands, and a separate drive at Pineview brought in about 600 canned and boxed foods for the same organization. 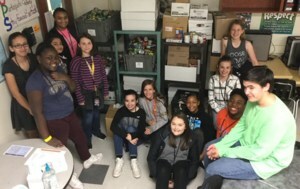 Airport High’s Beta Club collected nearly 500 pounds of food for Harvest Hope Food Bank in Cayce, while the school’s Student Government collected enough food to make ThanksGIVING baskets to feed 17 families three meals a day for five days. At Congaree Elementary, Hannah Rohrer’s fourth-graders gave their allowances and did chores around the house to earn money for Trick-or-Treat for UNICEF, raising $201.96. 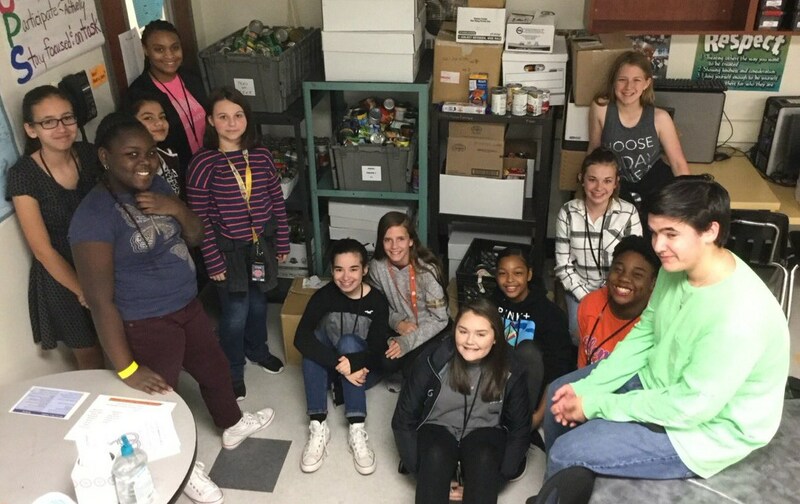 And Pine Ridge Middle exceeded its goal of 1,000 cans of food, bringing in 1,133 cans for the Cayce Cares Project. These drives not only benefit those in need but offer lessons as well, said Pine Ridge Middle Principal David Basile. Here is a sampling of current holiday drives to help those in need in the Lexington County community -- and, in some cases, in the district's own schools. -- Non-perishable food items are being collected for Cayce Cares. An earlier drive was held for Harvest Hope Food Bank. -- New and gently used mittens and winter gloves are being collected to donate to Brookland Baptist Church. -- New mittens, gloves, scarves, knit caps, and socks are being collected for Sistercare. -- The school is collecting non-perishable foods for Cayce Cares. -- The school is collecting canned goods for God's Helping Hands. -- Both schools are offering Angel Trees, supporting students and families in need this holiday season. -- A blanket drive has brought in more than 450 donations so far. The goal is 1,050 blankets, so there are enough for each student to take one home over the holiday break. For more information about any of these holiday drives, contact the schools.